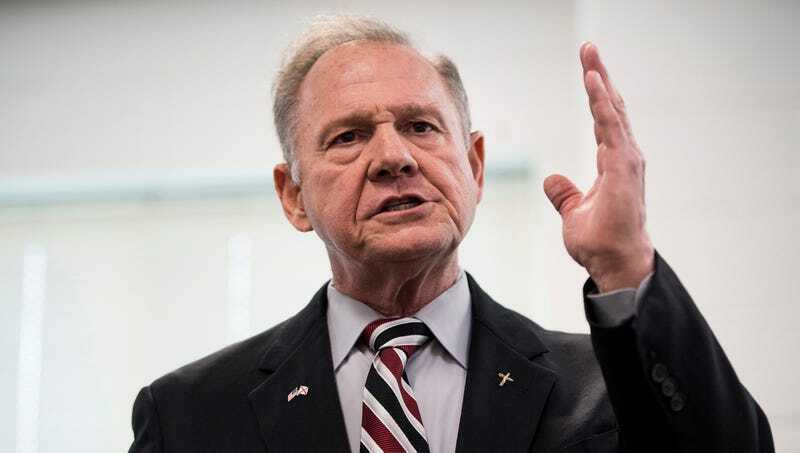 MONTGOMERY, AL—Waving off the current allegations against him as vicious attempts to sabotage his election bid, Alabama Senate candidate Roy Moore told reporters Monday that the women accusing him of pedophilia were only doing so now because “shifting sociocultural norms have created an environment in which assault allegations are taken seriously.” “These women have had 30 years to come forward, and the one and only reason they’re speaking out now is because they suddenly have less fear that their lives will be utterly destroyed,” said Moore, adding that the women accusing him of sexually pursuing them as teenagers were just several of many “jumping on the sexual assault bandwagon these days” in light of meaningful systemic change and the fact that society would no longer immediately discredit them. “My accusers are nothing but slandering opportunists taking advantage of the deteriorating influence of the patriarchy that has traditionally silenced any woman who makes such claims. If the American public at large had not finally begun truly hearing victims and decided that enough was enough, I guarantee that these women would never have had the audacity to accuse me of such heinous crimes.” Moore went on to say that he would nevertheless continue his run for the Senate despite the charges against him because while the norms had shifted, they had not shifted nearly as much in Alabama.